It’s time for our weekly Currency Spotlight. Since we’re in Sweden this week – check out our profile and travel guide – we’ll focus on the krona (crown in English). The Swedish krona (plural: kronor) has been the official currency of Sweden since 1874, replacing – at equal value – the riksdaler. Find out more about the krona (both past and present), some insights into the Swedish economy, and a few interesting facts you may not have known beforehand. When the Swedish krona came into use in 1874, it was tied to the gold standard, with the krona worth 1/2480 kg of pure gold. Sweden wasn’t the only country to use it however. 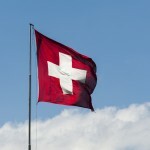 They were part of the Scandinavian Monetary Union – meaning they share the same currency – along with Norway and Denmark. The union lasted until World War I when the gold standard was abandoned. Following this, each country in the Scandinavian Monetary Union kept the name krona (or krone in Denmark and Norway), but would go on to regulate their own currency. Even though Sweden is part of the European Union, it has not adopted the euro after a majority of voters opposed the change. Taking advantage of a legal loophole, Sweden continues to use the krona and has no plans to adopt the euro anytime soon. Support for switching currencies has even fallen below 10% in recent polls. The krona instituted a managed float regime in 1992 – currency fluctuates but the central bank buys and sells on the market to influence rates (also known as a dirty float). While today – for the most part – the currency floats independently, according to the IMF, the Riksbank does employ an inflation-targeting network. This means that the monetary authority sets medium-term inflation goals, releases the information to the public, and intervenes to reach them. Based on the market, these goals can change and the central bank will respond accordingly. The main point of the network is increased transparency and accountability regarding the future direction of the krona (and hopefully to avoid an incident like the Francogeddon). The exchange rate of the krona is usually judged against the euro, due to the countries immediate proximity to the European market. Since the euro entered circulation in 2002, the krona has been valued at about 9-9.5 SEK per EUR. At the time of writing (8:30 pm March 5, 2015) $1 Canadian bought 6.689 kr. What can we take from all this? Well the krona has been up and down as of late. Recently the Riksbank instituted a negative interest rate to peg the krona to the euro. With both the GDP and the currency growing more strongly than expected recently, this could cause problems for the banks inflation goals but in general seems to be good news for the economy. With a stronger currency however, Sweden is pricier than the rest of Europe in many respects – so it can be difficult for tourists to budget. According to the World Bank, Sweden is a high-income economy. The economy is competitive and about 90% of the resources and companies throughout the country are privately owned. In keeping with what has become known as the ‘Nordic Model’, free model economics are mixed with a generous welfare system. This has contributed to an extremely high quality of life in Sweden. This mix of individualism and egalitarianism has given rise to the term ‘cuddly capitalism’. Today, Sweden is generally export oriented, with excellent infrastructure and a highly skilled labour force. Engineering, telecommunications, automotives, and pharmaceuticals are the some biggest and most important industries in the Swedish economy. Companies such as Volvo, Ericsson, Ikea, and Absolut Vodka are examples of well known Swedish brands around the world. Current banknotes feature author Selma Lagerlöf, opera singer Jenny Lind, botanist Carl Linnaeus, and Kings Charles XI and Gustav I. 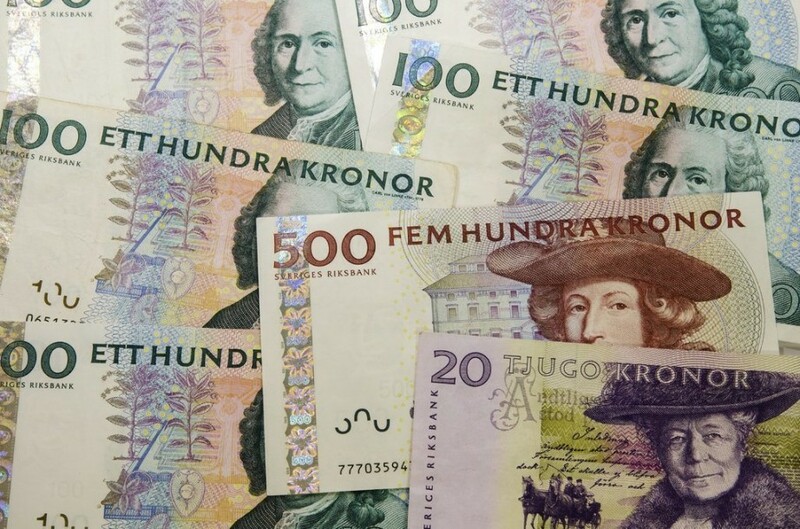 New banknotes (to be introduced later in 2015/2016) will feature writers Astrid Lindgren and Evert Taube, actress Greta Garbo, director Ingmar Bergman, soprano Birgit Nilsson, and diplomat Dag Hammarskjöld. Currently the banknotes feature scenes such as a nyckelharpa (a traditional Swedish instrument), a bee pollinating a flower and a harvest. The new notes will each showcase a different region in Sweden, from Lappland to Skåne. 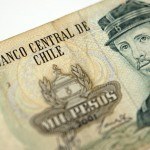 Coins are minted with the face of the reigning monarch. 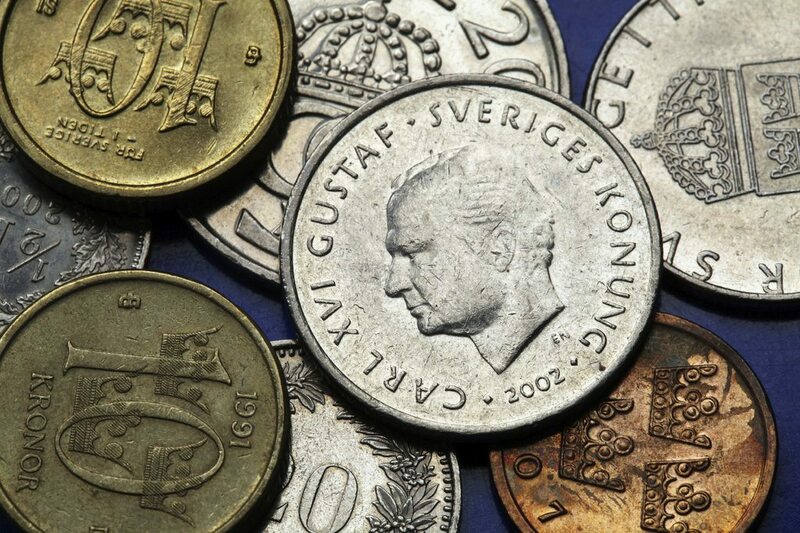 Krona coins have been made with everything from nickel-bronze, to silver, to aluminum-brass (‘Nordic gold’). One krona is equal to 100 öre. The öre coins were discontinued in 2010, so cash transactions are rounded to the nearest krona, much like we do with pennies. The Sveriges Riksbank (est. 1668) is the world’s oldest central bank, and the third oldest in operation (or fourth according to some sources). Income taxes in Sweden range from around 50-70%. Punctuality is key in Swedish business. Don’t be late! Check out our profile of Sweden for the Country of the Week. If you need some ideas about where to go once you get there, find out more with our travel guide.